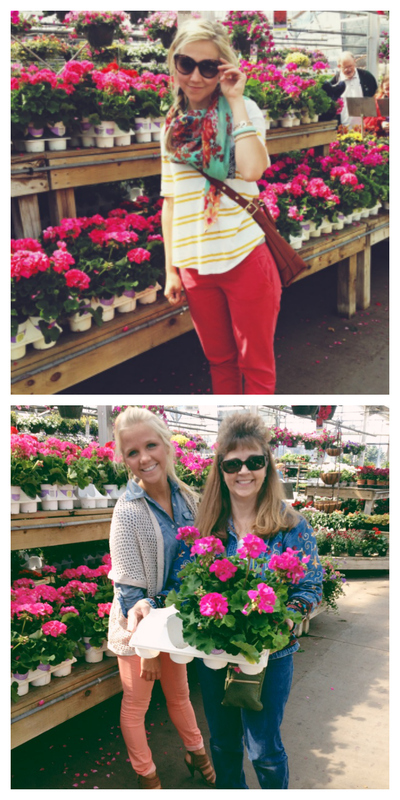 for the anderson household, it is not mothers day until you go to the flower shop. so that is exactly what we did over the weekend (this year laurel was out of town, we missed her a ton!) . my mom has a great green thumb. every year, she does landscaping, plants a flower garden, and somehow fits time in for a veggie garden. and for as long as i can remember, she always wants flowers (to plant) for mothers day. so that is exactly what we get her! 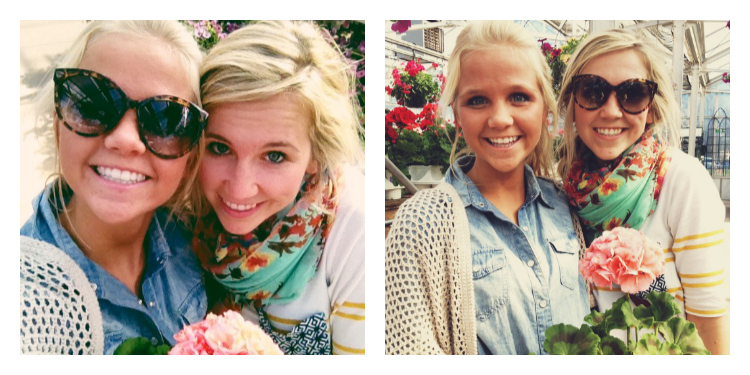 as we have gotten older (and have allowed her to sleep in), we have started making a tradition that we go to the flower shop together on mothers day. 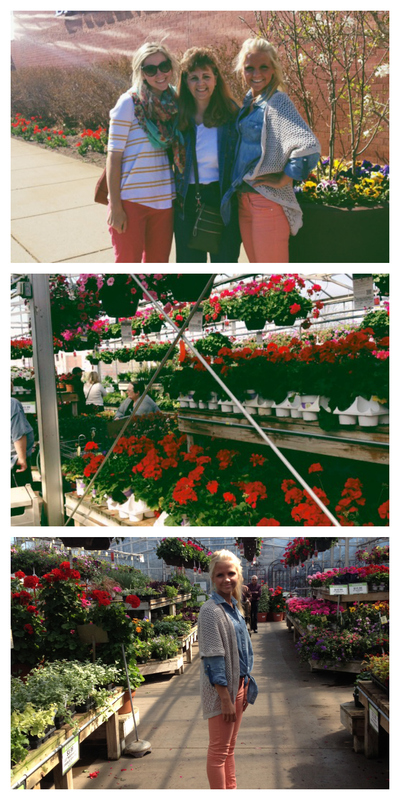 we get to go in, see all of the beautiful flowers, and choose what types of plants we will fill our yard with. and as the years have passed my mom's green thumb has rubbed off on me, and i have started gardening! this makes going to the flower shop even more enjoyable because i then too pick out what i will see blooming in my yard for the year. what did you do for mothers day? do you have any fun traditions? How fun!? This is such a great tradition..and makes for super cute pictures! Love this tradition as well!!! And GeT OUT of here with your OUTFITS. that is the only thing my mom requests as well! i am excited to have a yard and not be in an apartment so i can start my green thumb. i can't wait to have a garden of my own. i have some herbs growing here but i'll be glad when i can fill a garden with flowers, veggies and herbs! such a cute outfit by the way! Planted flowers are a much better idea since they last so much longer! You ladies are all SO pretty! I love that you and your sister know how to rock the colored pants! 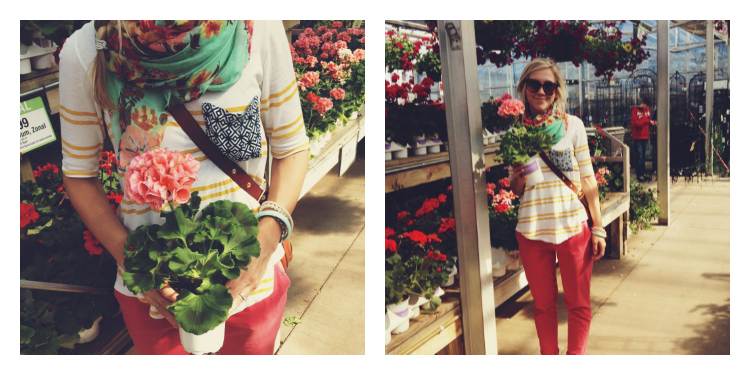 Love the coral with chambray! That is such a fun and sweet tradition!! Isn't it funny how your parent's interests become our as well :) We planted a garden too this year and I can't wait to see if our flowers grow! Cute shirt, love the pocket on it! You guys are all so GORGEOUS! what a sweet tradition :) i wish i had a green thumb.